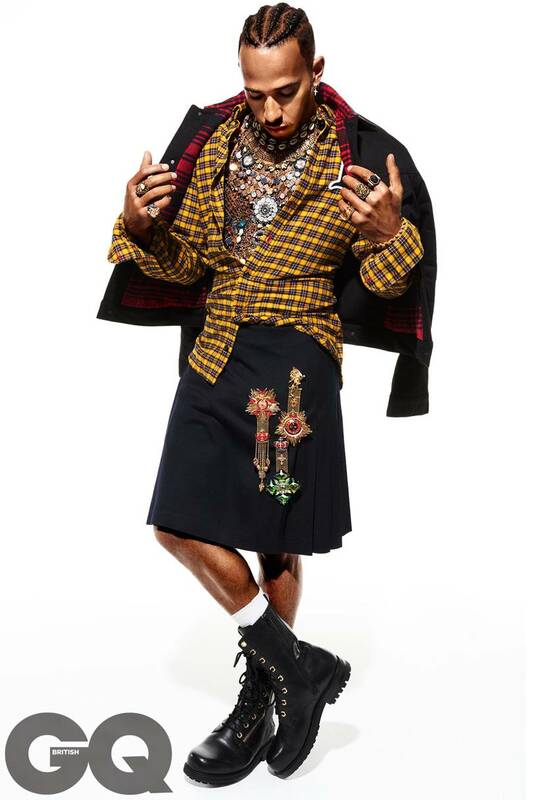 Formnlar 1 champion, Lewis Hamilton has appeared on the front page of the GQ in a kilt to make amends for shaming his nephew for wearing a princess dress. The current formula 1 champion issues an apology the next day. Six months down the line, he has making further amends by wearing a number of kilts from Tommy Hilfilger.